Creating or innovating a new technology can be an easy task, but securing it is equally challenging. Year 2011 highlighted some of the security issues due to which many cloud providers had to face downtime problems and low bandwidth. Will the new year bring forward new security measures that are improved, enhanced and much more promissing than the old ones, will be a matter of concern for all the cloud providers. Nevertheless, year 2011 passed with several cloud outages that occurred for big IT giants like Google and Microsoft. Yet another thing due to which security can be triggered is, occurrence of natural disasters or extreme weather conditions. Last year’s cloud outages in Dublin that crashed Google’s and Microsoft’s data centers happened due to lightening thunders. Thus, if we see in that angle nothing is secured, it is only the precautions that help in safeguarding the IT environment of organizations. Nevertheless, this year seems to be a promising year for the cloud technology. Let us describe some points that highlight significant factors concerning security issues in cloud model. Data Loss is the prime security threat for the cloud model. Thus, if cloud providers want that their data centers should run smoothly and efficiently, it will beneficial for them to construt another data center in order to protect the lost data, while creating an automatic failover. Such measures can help organizations to settle down on the monetary losses, which otherwise might be difficult to achieve or restore back. Yet another reason for data loss can happen due to lack of expertise at the time it is migrated from the internal server to the cloud server. 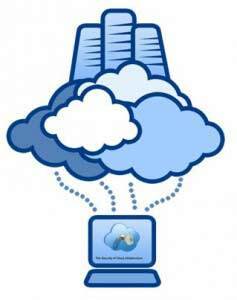 Thus, experienced work force is required to maintain cloud properly and efficiently. This particular factor is a prevailing threat that most cloud providers or managed cloud professionals face, while offering cloud services to their clientele across the globe. As we, all know Internet is a breeding ground for criminal offences, it becomes equally risky for the technology like cloud computing to stay absolutely safe and secure. When talk of service hijacking, we probably are aiming at unauthorized attempts that are done to either steal data from websites or simply done to crash those websites. However, if such would be the state of cloud security, day won’t be far off when hijackers could enter into the cloud world and capture the credentials of the organization. For implementing correct security measures in the cloud environment, it is required to understand the behavior of organization. What cloud services the company has availed and by taking what security measures can a company grow and expand its business branches worldwide. As a matter of fact, selection of cloud providers should also be done carefully. It adds a lot to improve and enhance the security part of the cloud architecture. Why reputed and well established cloud providers? It is because, a well reputed cloud provider or managed cloud professional will have years of experience in the field will be able to understand cloud requirements of an organization in a better manner. Moreover, if deployment of any of the cloud model is done taking care of the basic and fundamental things of cloud technology in mind, running daily tasks in cloud environment will be easy and convenient.